Published: Nov. 26, 2017 at 08:49 p.m.
Pittsburgh Steelers quarterback Ben Roethlisberg throws to tight end Xavier Grimble for a 1-yard touchdown. 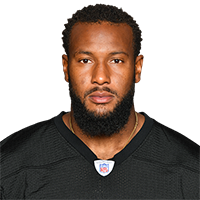 Published: Aug. 26, 2017 at 09:37 p.m.
Pittsburgh Steelers QB Landry Jones finds wide receiver Xavier Grimble for the nice 10-yard touchdown catch. Published: Dec. 25, 2016 at 04:47 p.m.
Pittsburgh Steelers QB Ben Roethlisberger hits tight end Xavier Grimble for 20-yard TD hook up. Published: Sept. 18, 2016 at 01:38 p.m.